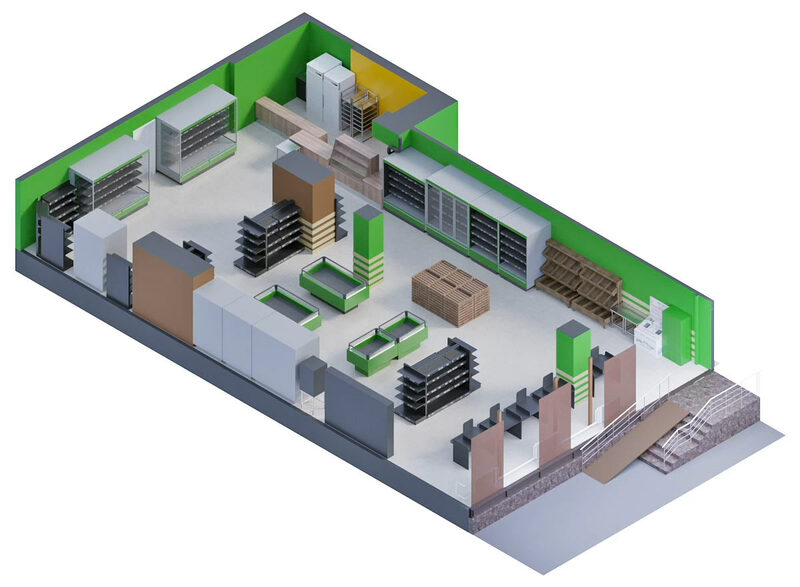 Task: to design interior and exterior of a grocery store. 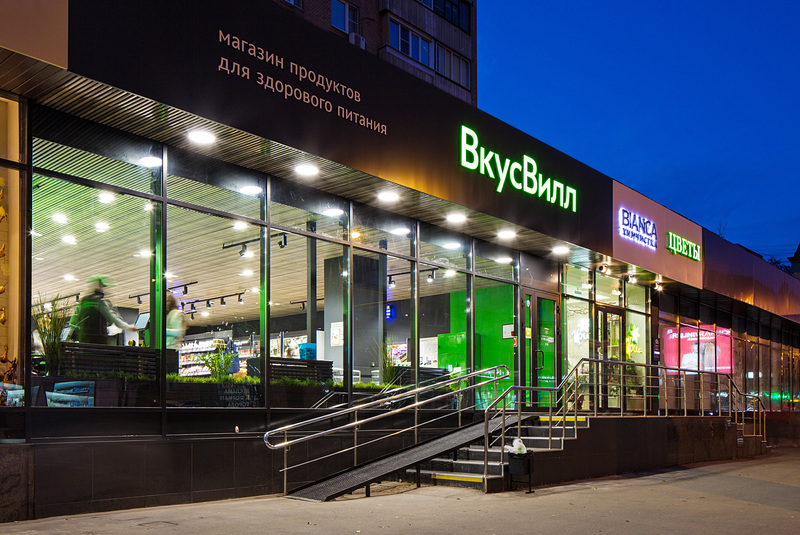 VkusVill is a large chain of healthy food stores. 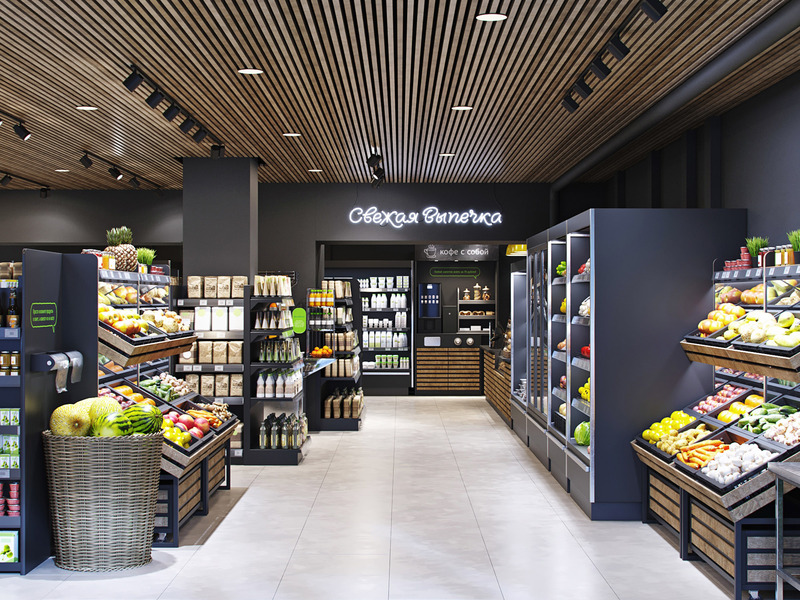 The stores offer natural products of the highest quality: vegetables, fruit, herbs, meat, milk and cheese, fish and bread. 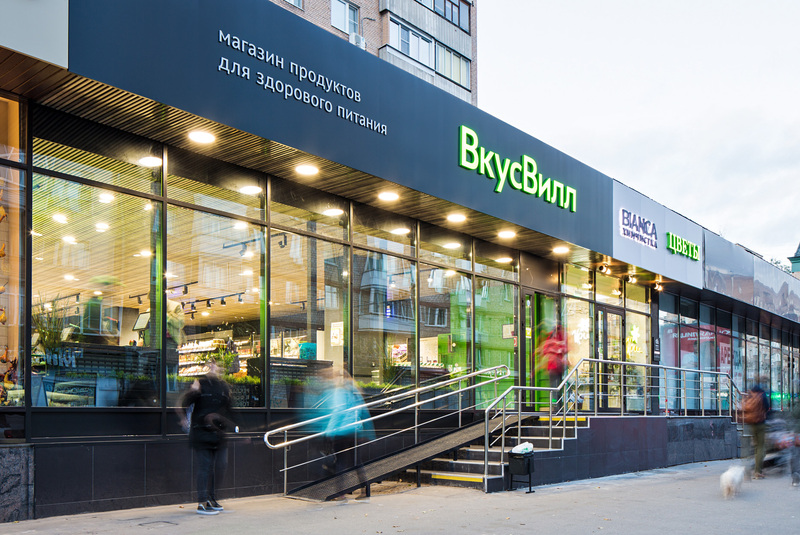 We developed a completely new design for the store on Bolshaya Gruzinskaya Street, starting with the entrance and the outdoor sign and all the way to trade equipment and promotional materials. The first thing we did was relocating cash registers away from the windows to the walls. This allowed the interior of the store to become visible from the street, inviting to go inside. 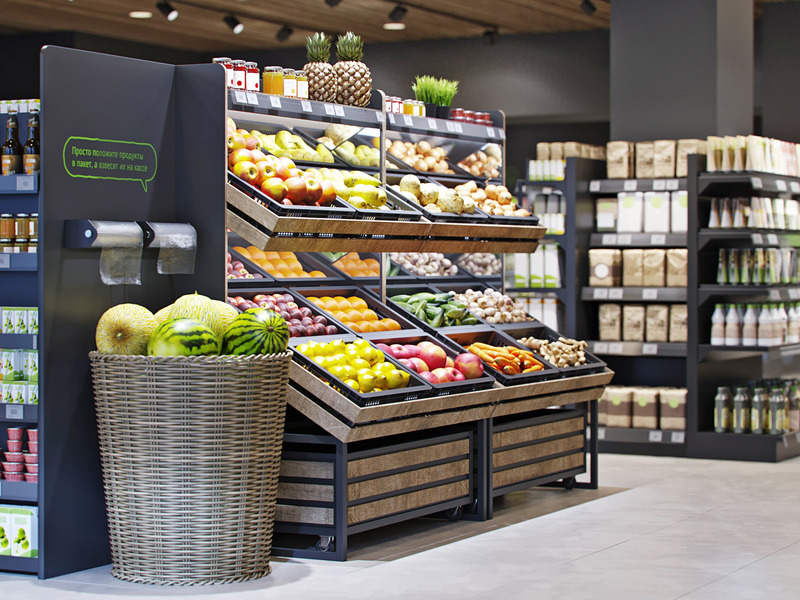 To support the image of a healthy food store, we used the most laconic, practical and at the same time striking devices. 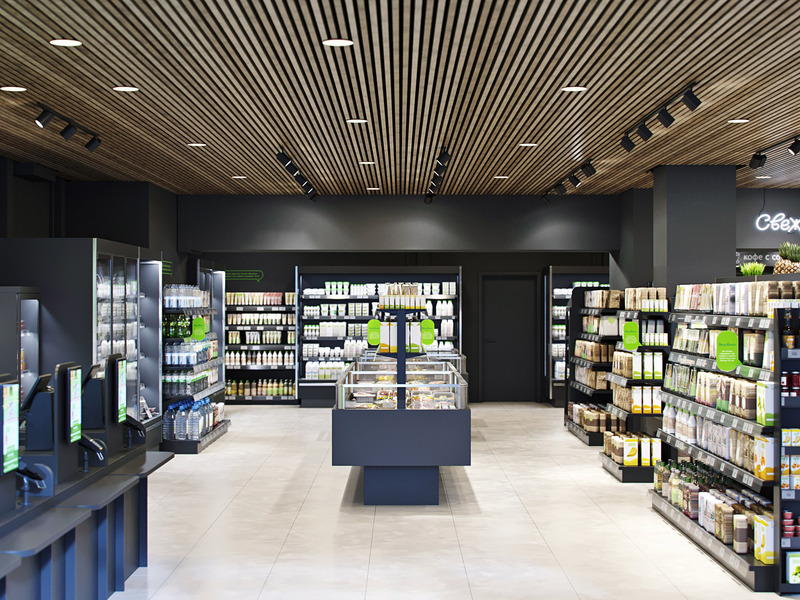 The modern plank ceiling with wooden texture looks eco-friendly but not rustic. Visitors immediately understand the concept and do not confuse VkusVill with farm shops. 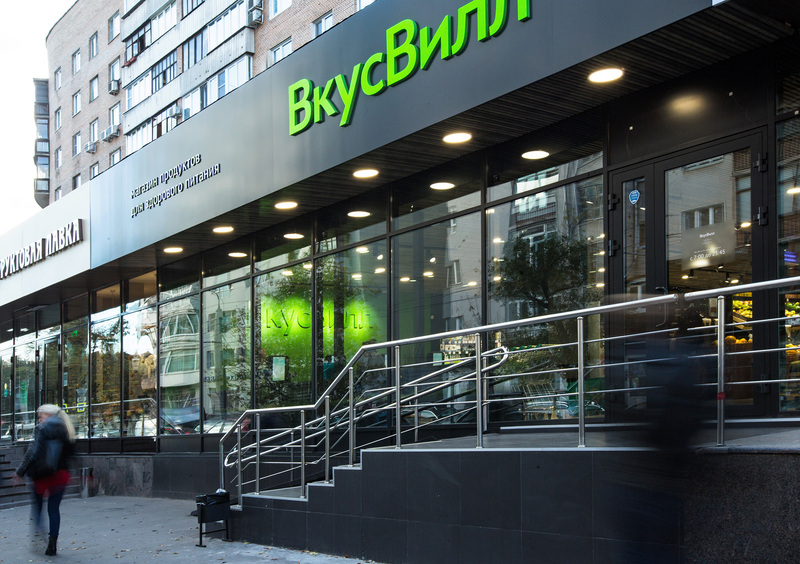 The signature green color is used where it can be seen from the street, in the entrance area and behind cash registers. The rest of the interior is dark gray, making boring trade equipment look cool. The pride of the store is its own bakery. It is marked with a neon sign that can be seen not only from the entrance, but also from the street! 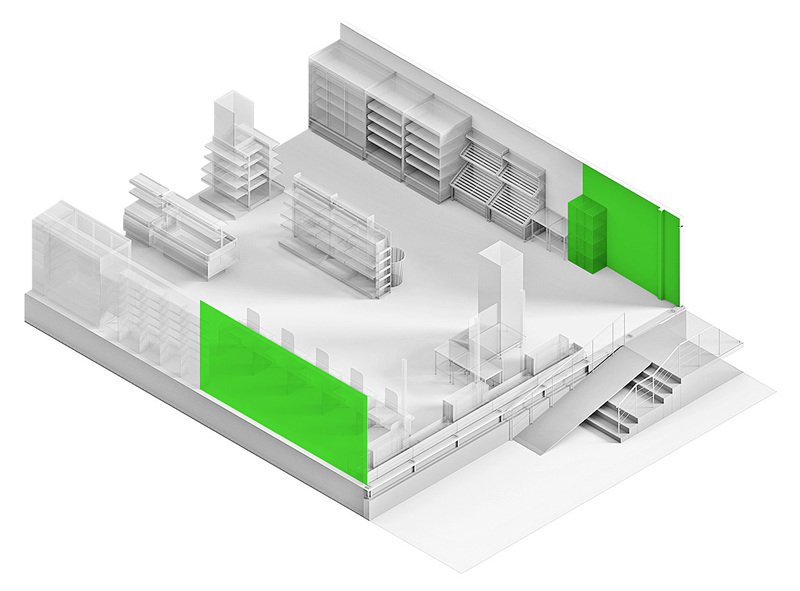 The bakery zone is highlighted with a special finish. The bottom of the counter rhymes with the ceiling of the retail area while the beautiful yellow lamps please the eye. 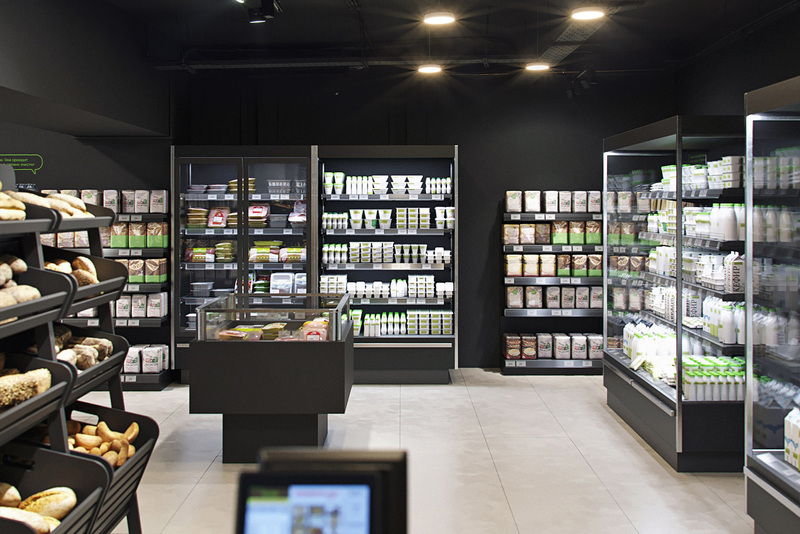 Fresh pastries are laid out in a showcase that was custom-designed for the store. 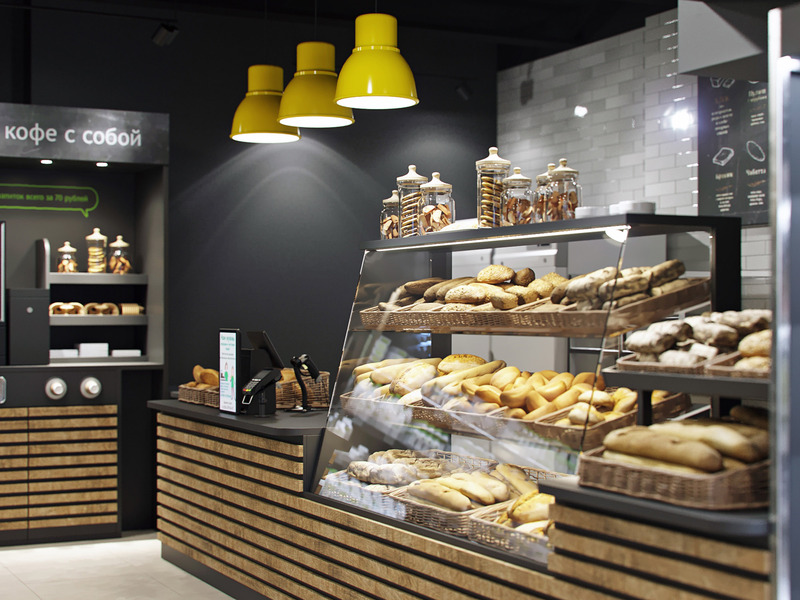 To make sure customers can see bread even from the side, the closed part of the showcase has glass sidewalls. 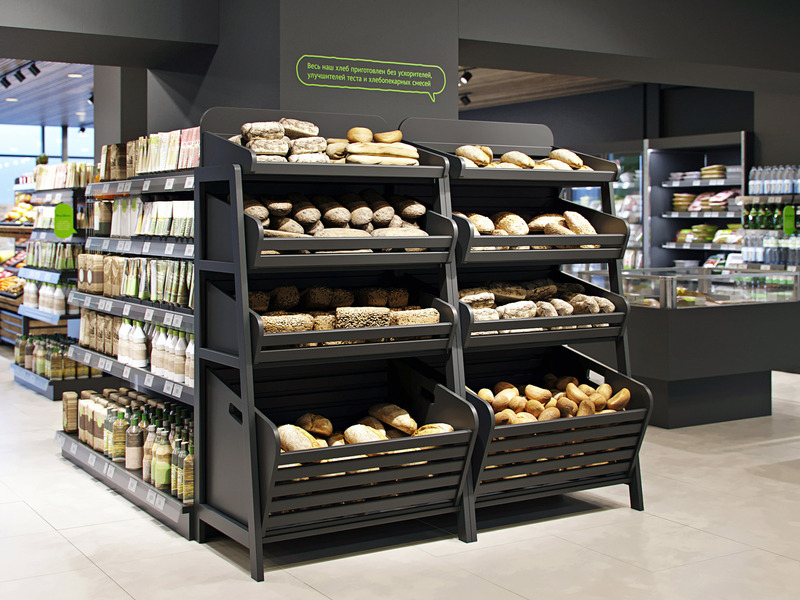 One of the most striking solutions was using black bread racks (which are wooden in almost all other stores). 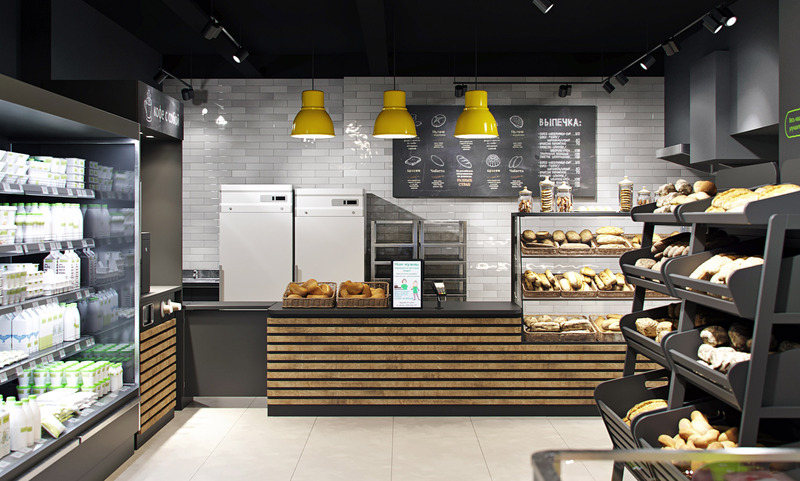 Thanks to contrasting accent lighting, bread looks especially appetizing on the racks. The ceiling in the small hall furthest from the exit is not finished, adding variety and helping save on materials. 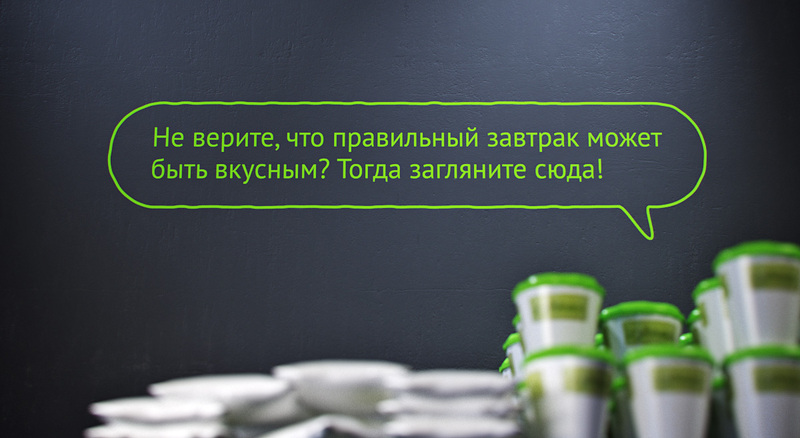 Neat green shelf stoppers and wall stickers add life to the interior. 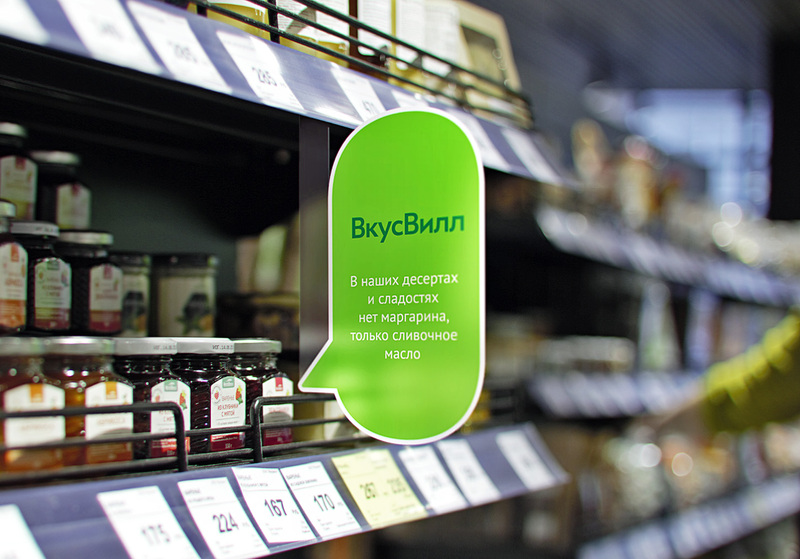 They are the store’s way of communicating with the customers. 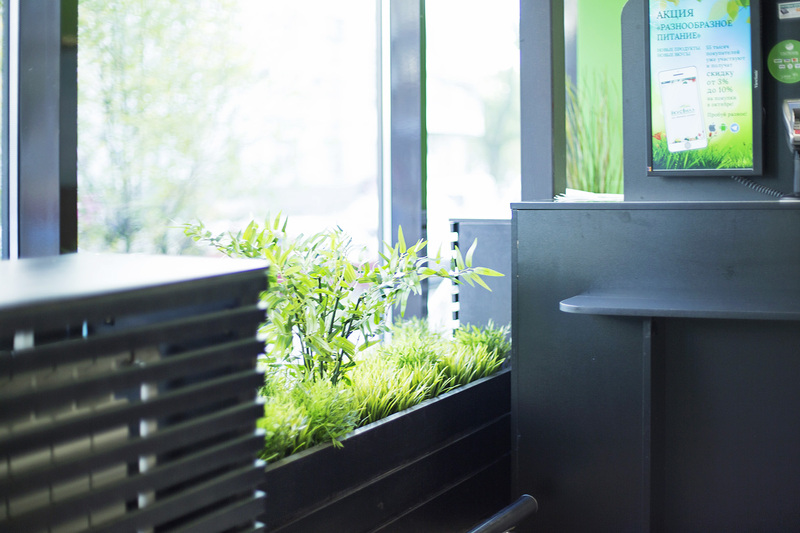 The entrance area now has enough room for tables for customers and other important equipment, such as a battery recycling box. 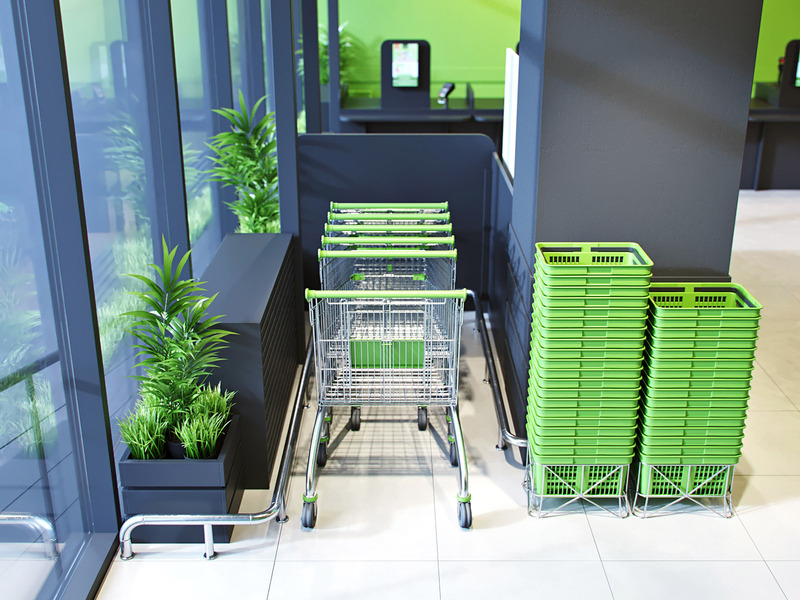 And of course, shopping carts and baskets. The final touch is fresh plants located along the glass windows. They look great both from inside and outside and cover heating radiators.